The remains of a World War II pilot shot down in Germany have arrived back in his home state of Utah, where they are expected to be buried. 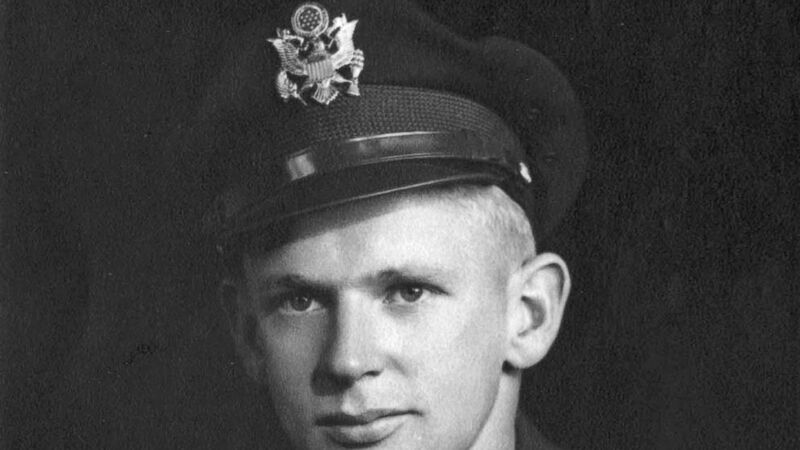 Army Air Forces 2nd Lt. Lynn W. Hadfield's remains are set to be buried Thursday, 74 years to the day of Hadfield's crash, the Salt Lake Tribune reported on Tuesday. Hadfleid was 26 during his last bomber mission, meant to obstruct German troop movement as Allied forces crossed the Rhine River two days later. A German researcher found evidence of a crash site in 2016 in Hulsten-Reken, about 10 miles (16.1 kilometers) away. Hadfield's remains arrived in Utah on Tuesday. "I didn't think that after 74 years he would come back, and I would be here to see it," said Mary Ann Turner, Hadfield's daughter. "It gives me peace that I haven't known my whole life," Turner said. The excavation team also recovered Hadfield's officer wings and his ID tag, which Turner now has. Now, Turner's relatives and friends are gathering in an unforeseen reunion to pay respects to the war veteran. Hadfield will be buried Thursday — the anniversary of his death — in Bluffdale Veterans Memorial Park cemetery after a funeral service at Larkin Sunset Gardens Mortuary in Sandy. The funeral will begin at 11 a.m., three seconds before the time of day that the plane crash was recorded, Turner said.